Recent statistics regarding the expansion of solar energy jobs gives environmentalists a reason to be cautiously optimistic. It seems nearly 93,500 workers are employed both directly and indirectly in the solar energy sector in the United States with every indication of an increase in the coming years. This means that for the first time in history, solar energy has now surpassed the U.S. steel production sector by 20,000 workers. 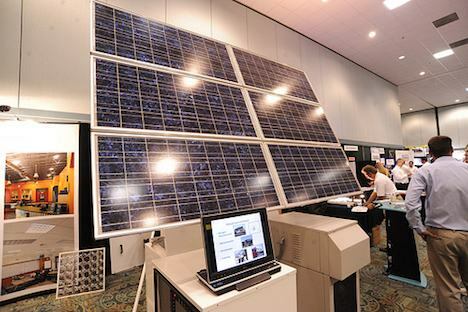 Even outside the U.S., the solar industry seems to be becoming more and more dominant. I have already talked at length regarding the demand side of the equation, with China making big plans to increase solar capacity to 10 GW. But on the supply side of things, the picture looks even better for solar production leaders such as Germany. Germany employs nearly 100,000 green workers in its solar photovoltaic industry, installing 7.4 GW of solar capacity in 2010 alone. It has virtually taken over the EU market, accounting for 75% of the sale of solar cells, modules, and other solar technology. Clearly Germany is poised to become a dominant global force in green technology of the future. But let’s take a moment to see what this means for the average worker. If you really want to give yourself a competitive edge in the future job market, you would be well advised to “green” your skill-set. A recent report by the Solar Foundation reveals that in nearly all of the solar occupations, employers are having a hard time finding qualified professionals – there simply aren’t enough workers to fill the growing demand for green energy jobs. And what many workers don’t realize is that their skill-sets are transferrable to the green sector. For instance much of the knowledge electricians or plumbers possess is directly applicable to solar construction and installation. Solar companies also need individuals with marketing backgrounds, communications experience, legal knowledge, and the ability to crunch numbers. This is a potential gold-mine for individuals who spend some time increasing their knowledge in sustainability and moulding their skill-set for green jobs. So this news regarding the expansion of solar energy is not just important to those already employed in solar. It can serve as golden opportunity for anyone who wants to cash in on the energy forms of the future. Next post: Google Invests $280 Million On Rooftop Solar Panels – Smart Move? Previous post: Can ‘Forest Bathing’ Lead To A Less Stressful Life?